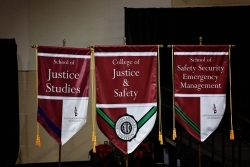 Two hundred and fifty graduates of Eastern Kentucky University’s College of Justice & Safety were recognized at commencement ceremonies on Saturday, December 12, 2015. Ms. Priscilla Norfleet, a Criminal Justice major from Radcliff, KY addressed the class of 2015 on behalf of the students. Mr. Hasan Davis, a juvenile justice and education advocate was the convocation speaker. From 2008 to May 2014, Mr. Davis provided executive leadership to the Kentucky Department of Juvenile Justice, serving as Deputy Commissioner for Facilities and Operations and then as Commissioner. 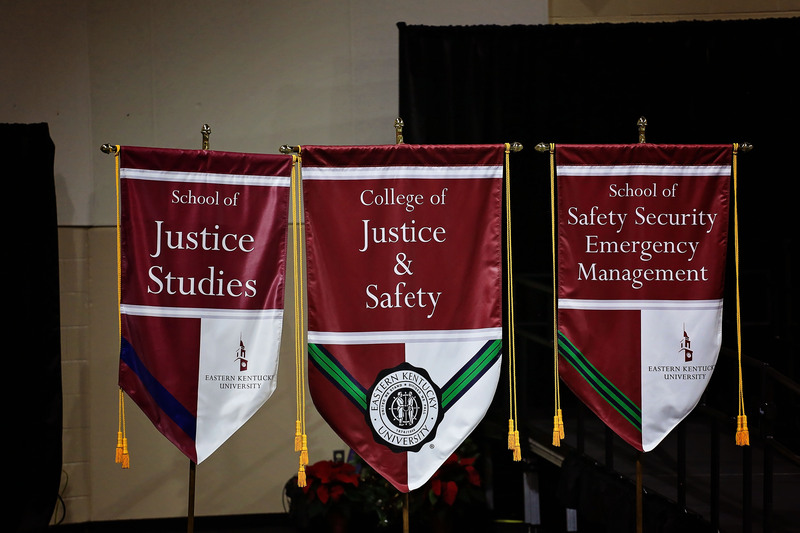 Ken Armstrong, President of EKU’s College of Justice and Safety Alumni Society College of Justice and Safety officially welcomed graduates to the alumni association. Armstrong is Assistant Chief for the Lexington Division of Police and is a two-time graduate of the CJ&S with a bachelor’s degree in Police Studies and masters of science degree in Criminal Justice. A reception for the graduates and their family and friends was held in the Stratton Building immediately following commencement.